R.J. Graziano is widely considered to be the last master designer jewelry brand. Recognized as the ultimate industry trend setter, his signature style embraces fashionable women everywhere. Graziano started on the fast track to success more than thirty years ago. At the request of Bloomingdales, R.J. designed a collection exclusively for them that was immediately showcased in the coveted Lexington Avenue windows. Within six months, Graziano had his first Lord and Taylor full page New York Times ad and his first Neiman Marcus catalogue feature. A star was born. 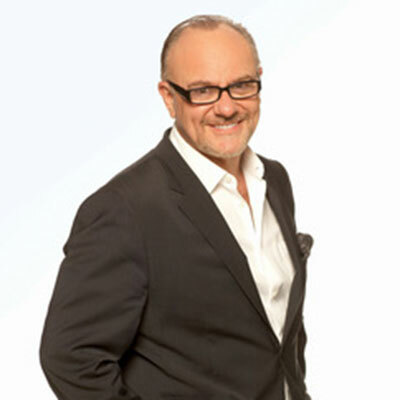 R.J. Graziano has enjoyed decades of success at most major stores nationwide including Bloomingdales, Lord and Taylor, Nordstrom, Saks, Neiman Marcus, Macy’s and fine specialty stores including Scoop, Intermix, Henri Bendel and Kitson. Twenty years ago, R.J. recognized the captivating abilities of electronic retailing and began with appearances on QVC. Shortly thereafter, Graziano joined HSN and will be celebrating twenty-two legendary years in 2017. Celebrities love R.J. His seductive designs can be seen in the press on Taylor Swift, Rihanna, Julia Roberts, Beyonce, Catherine Zeta Jones, Queen Latifah, Katy Perry and Oprah Winfrey among many others. Graziano’s designs are heavily featured in all fashion magazines such as Bazaar, In Style, People Style Watch, Elle etc. and is a mainstay designer go to name on many television programs such as the Today Show, Access Hollywood, What not to Wear, Entertainment Tonight among others. R.J.Graziano reflects style that delights, embraces and transforms….style that matters.